In the age of the cloud and digital disruption, the information and documents you need to manage are increasingly all over the Enterprise – driving content chaos. But, the way you need to manage projects, collaborate and control the movement and approval of content should always be the same, repeatable process. 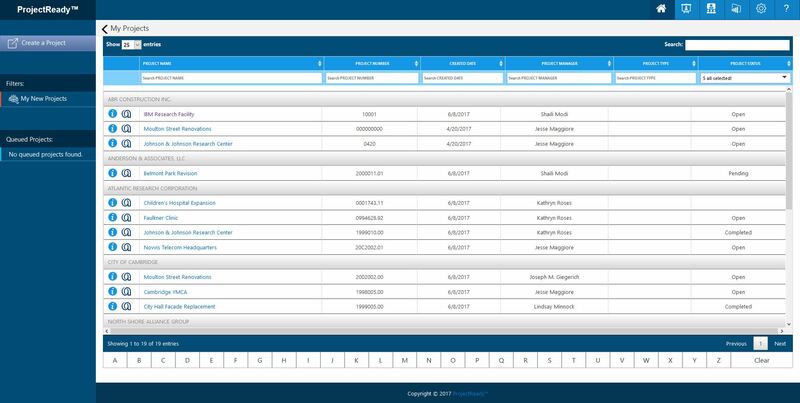 ProjectReady Central is a leading project management & document control solution designed to end the chaos by providing a modern, process driven solution to manage project information, across the enterprise, the same way every time. Easily manage projects, tasks, resources, emails and documents across thousands of active projects from a single location and integrate your line of business systems (i.e. Microsoft AX, Microsoft CRM, Deltek Vision) to easily work with all your project data and consolidate the numerous silos and applications typically used on a project. Contact Us Today to Schedule a Demonstration! Manage thousands of projects from one central modern interface and user experience. 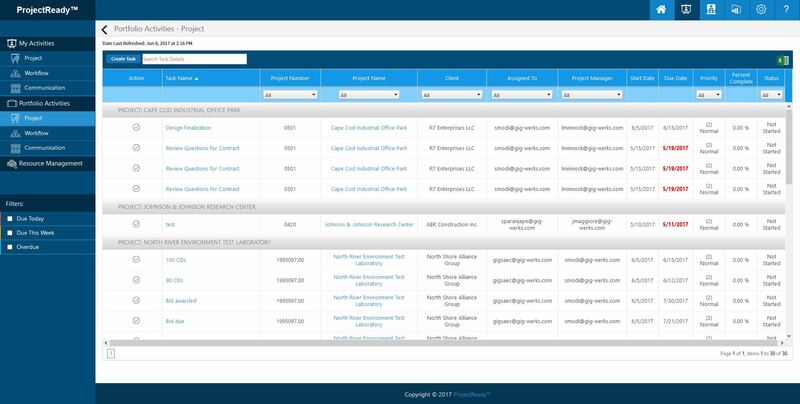 With easy filtering and search, you can simply find your projects, get insight and take action directly from the My Projects console. 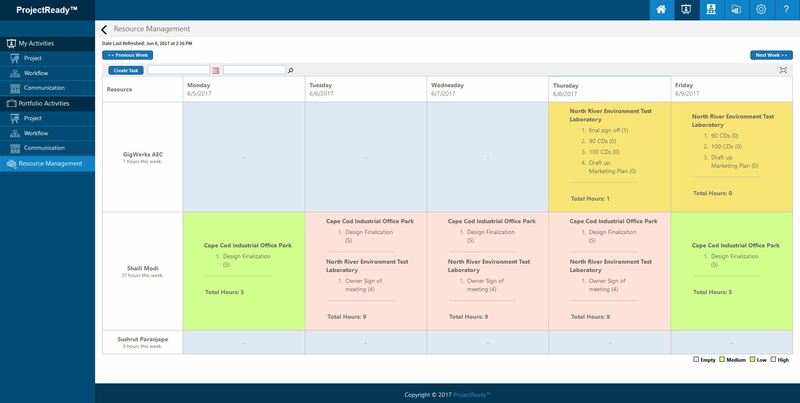 Manage thousands of tasks across thousands of projects from one central location. See and update all your tasks in one place or as a Project Manager be able to sort, find and add tasks to your team easily. Bring time & tasks together for your employees and consultants internal or external to the organization and enter time directly against tasks. Gain clear control & visibility into your projects progress, budgets & time before its sent to billing & end the content chaos in your project. View resources across thousands of concurrent projects and make edits as you go while they’re dynamically and automatically applied. Avoid project delays and effectively manage your resources improving collaboration and communication in one place. By automating the creation of project sites, ProjectReady Central ensures best practices information architecture and security built to scale. This delivers consistent structure and navigation to all your project sites whether that be in SharePoint or Autodesk BIM 360, all driven by the business user. 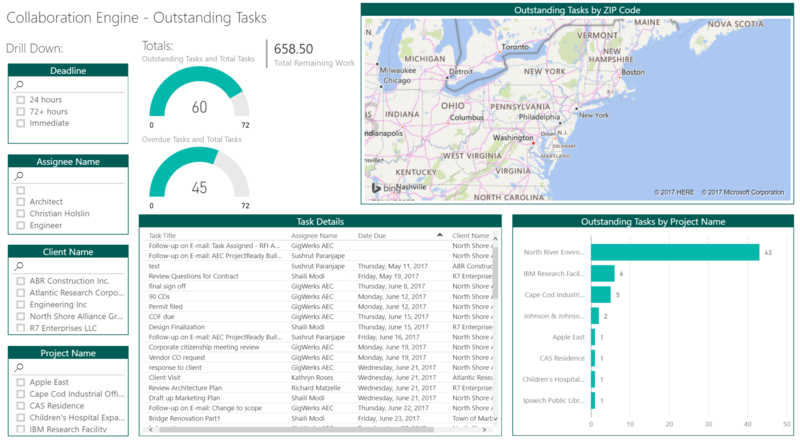 Comprehensive views, analysis and reports of project information and management of tasks across thousands of concurrent projects. 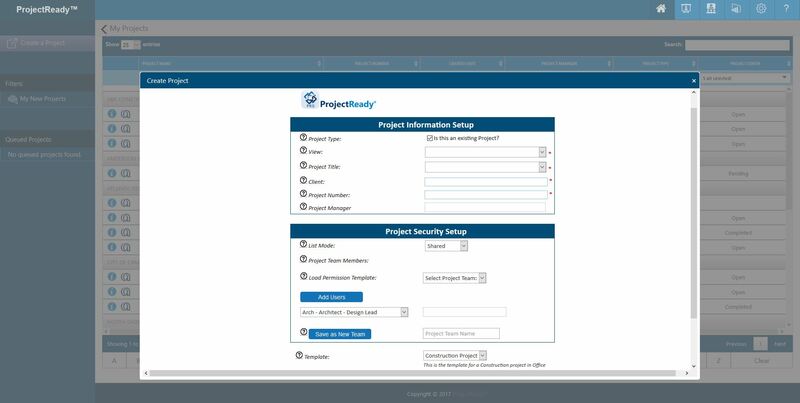 The ProjectReady database puts the power of control into the hands of the end user, enabling true project management built for the Enterprise.